Octagonal clear glass box and lid decorated with black panels two with overlapping circles and triangles, etched mark Checoslovaquie, ht. 3; conforming perfume bottle, repair to stopper, ht. 4 5/8; the other set with rectangular box with stepped base and lid decorated with band of alternating black striped triangles and diamonds with gold circles centered by cut stars, unmarked, ht. 5; conforming perfume bottle with stopper, ht. 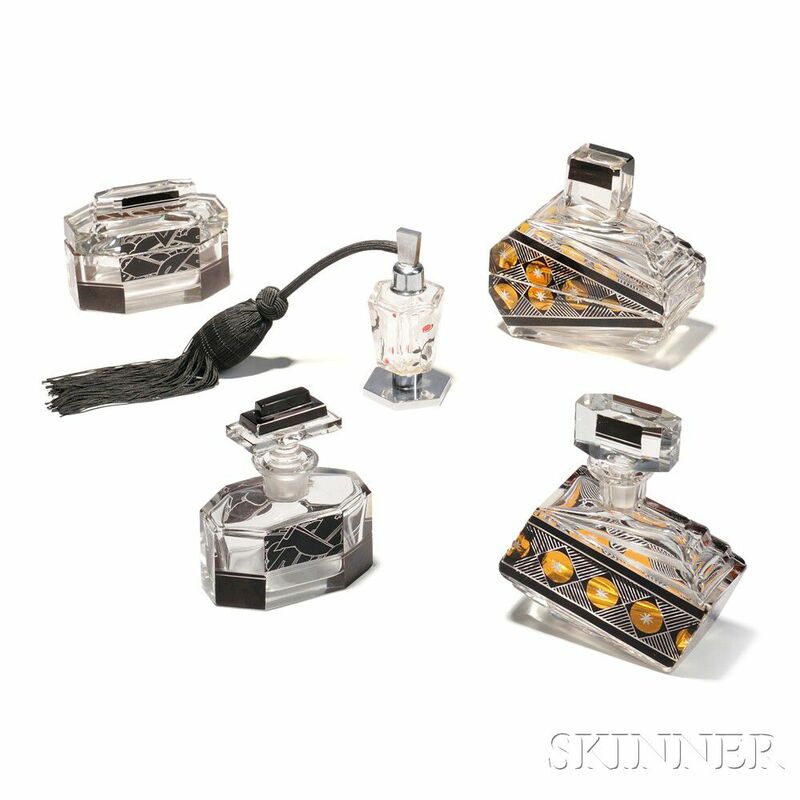 5 1/8; together with an hexagonal perfume atomizer with polished metal base and foot, clear glass body decorated with flowers of frosted glass, red and black enamels, metal top, fabric-covered tube and bulb, ht. 4 1/4 in. Repair to stopper of hexagonal perfume, a very few scattered chips.